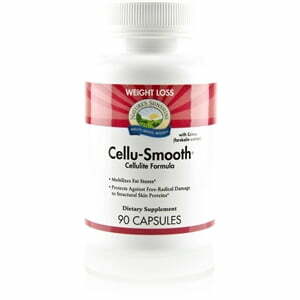 Nature’s Sunshine Cellu-Smooth with Coleus® nourishes circulatory health and skin health in addition to assisting in better fat distribution. 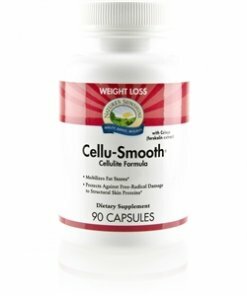 Cellu-Smooth with Coleus may also encourage a more lean body mass as opposed to a fatty body mass due to coleus forskohlii root extract, a key ingredient in the formula. Additionally, the formula contains bladderwrack, an herb that promotes thyroid health; milk thistle, an antioxidant; ginkgo, an herb that attacks free radicals; rhodiola root extract to boost strength and stamina; and rhododendron root, another antioxidant. Instructions: Take one capsule two to three times daily with a meal. Drink at least eight glasses of water daily. Cellulose (plant fiber), gelatin, and water.